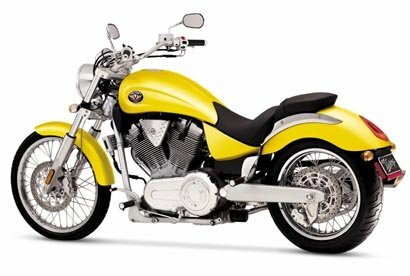 Looking to put some spark back into their cruiser sales, Victory unveiled a distinctive new model for its 2003 line up . . . the Vegas. Victory apparently went outside for styling input from some famous custom cruiser designers to give the Vegas its own look. With an extremely low seat height (26.5 inches), and lots of interesting styling details, the Vegas could be a winner. Here is a link to the Victory web page providing all of the details, and a complete photo gallery of the bike. 2003: The Biggest Sport Bike Year Ever?